Take home cooking beyond the ordinary with All-Clad's Stainless Steel Oval Roaster, a roasting pan set that's ideal for vegetables and chicken. Like all All-Clad cookware, this roasting pan is crafted with premium stainless steel. 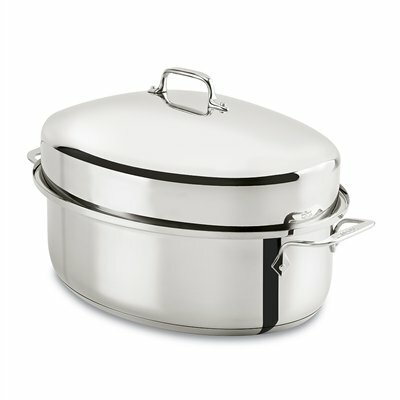 The Oval Roaster features classic style, ergonomic design, and durable construction for long-lasting performance.